LONDON – Thursday 8th July 1015. 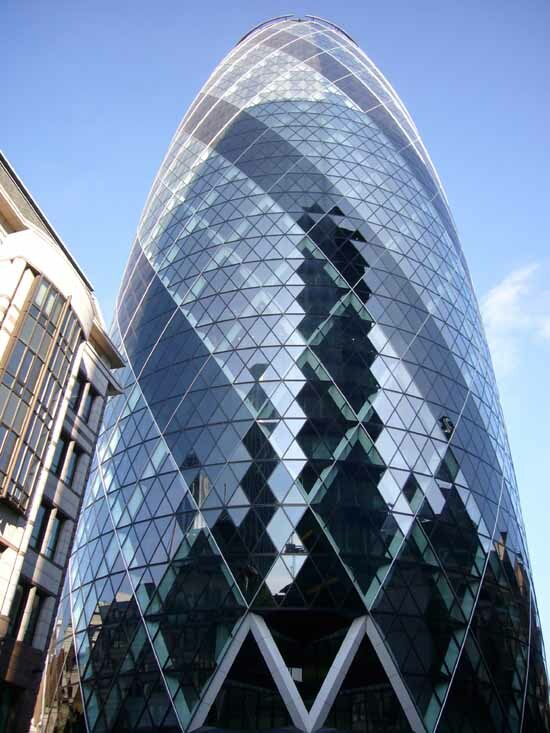 The Gherkin is the “nickname of the century”, suggests a poll to find the best-known nickname of any new building in Britain since the year 2000. The Cheese-Grater and the Walkie-Talkie, the nicknames of two other London skyscrapers, rank second and third respectively in the poll of 2,141 Britons conducted by YouGov on behalf of Skanska, the Swedish construction company which built The Gherkin. Nicknames for high profile new buildings, and skyscrapers in particular, are all the modern rage, to the point where no smart new edifice seems complete without one. 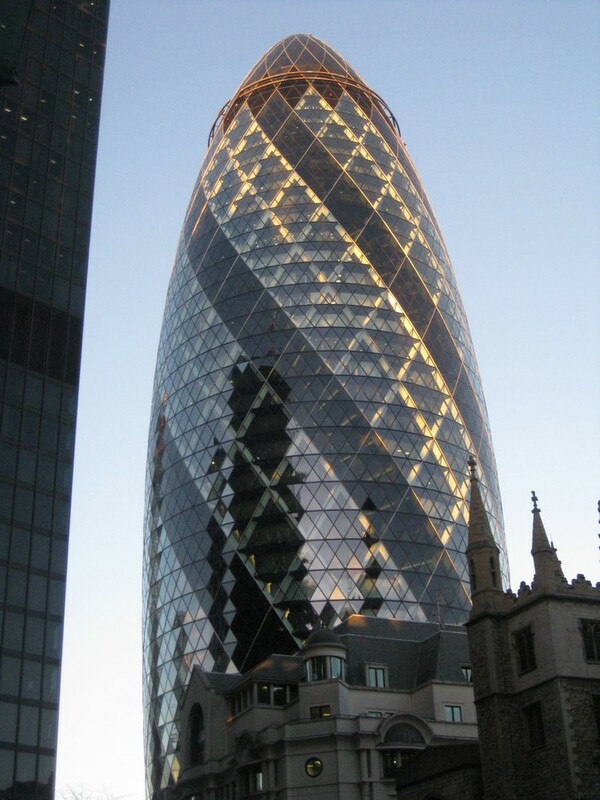 The Gherkin, however, emerges from the YouGov poll as by far the most widely known such name. Over three times as many Britons (72%) have heard of it as The Cheese-Grater in second place (23%) and the Walkie-Talkie in third (19%). 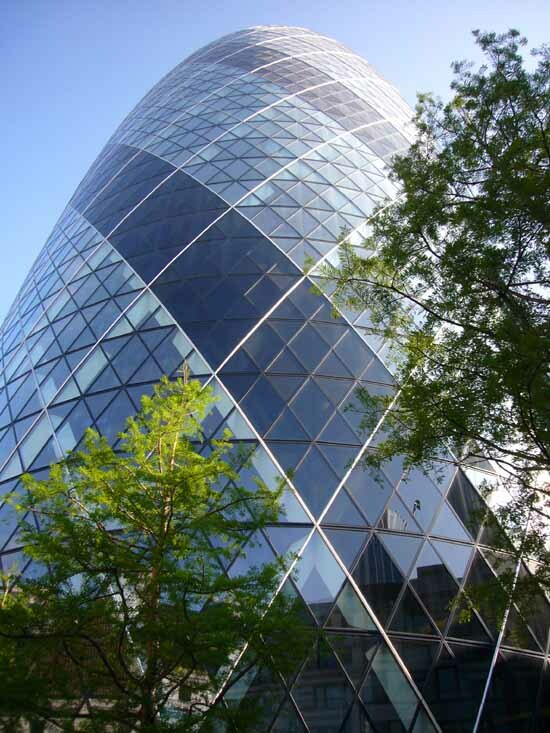 Nearly three-quarters (72%) of Britons have heard of The Gherkin, while nearly nine in 10 (86%) of Londoners have done so. 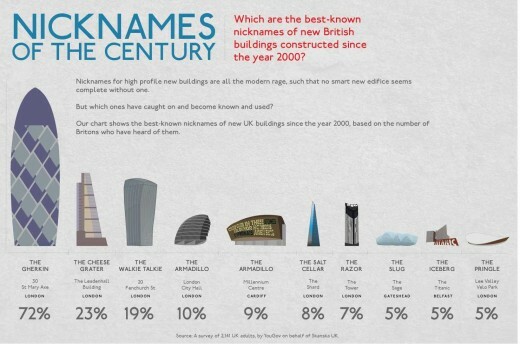 This also makes The Gherkin the only new UK building that is nearly as famous nationally as locally. The YouGov poll was restricted to buildings to have opened in the UK this century and to their nicknames rather than official or formal ones. 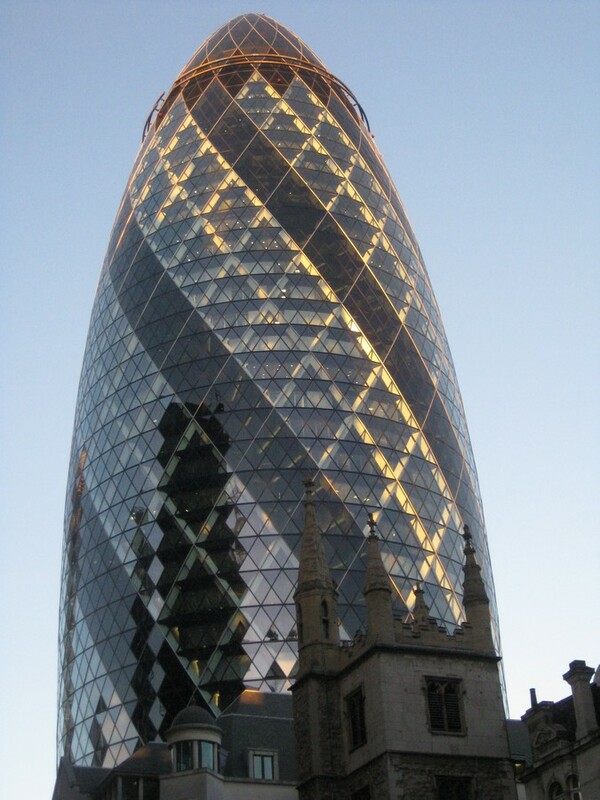 The official name of the Gherkin is 30 St Mary Axe, which is also its address in the City of London. 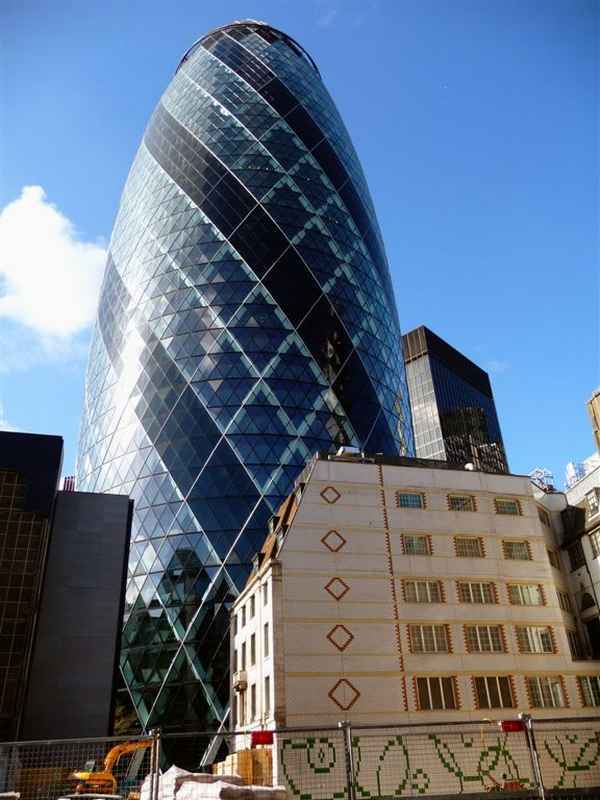 It, however, is far less used than the Gherkin nickname, which derives from the building’s alleged resemblance to a variety of pickled cucumber. 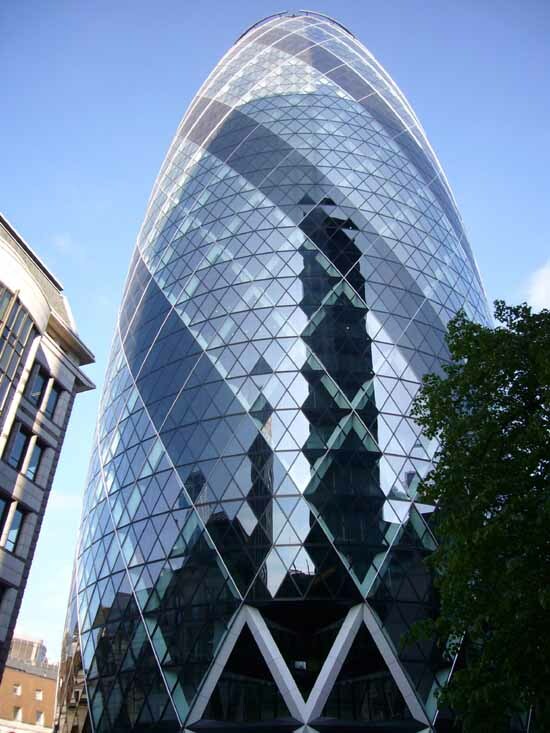 The Gherkin was designed by architect Norman Foster, constructed by Skanska and opened in 2004. 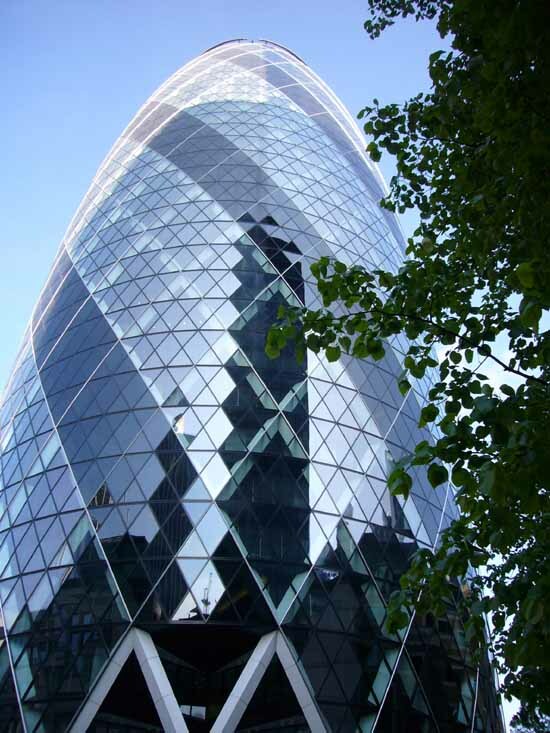 In its early days it was known as the Swiss Re Building after its primary occupant, the insurance company Swiss Re, but the Gherkin nickname has long since overtaken it. The Shard is another London skyscraper and landmark, with a widely known name. 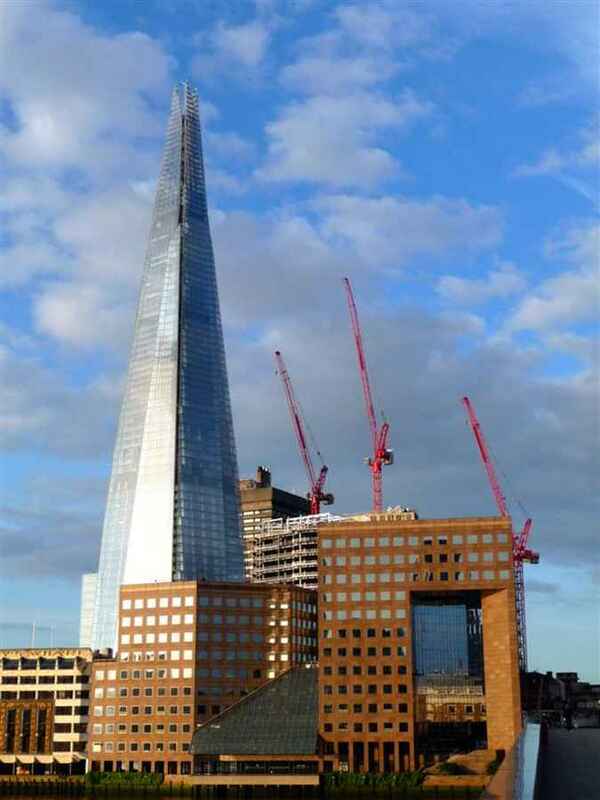 The fact, however, that the Shard is the building’s official name rather than its nickname ruled it out of contention for the YouGov poll. The best known of its various nicknames is The Salt Cellar, which ranks sixth in the YouGov poll. . The fact that the three best-known nicknames of new buildings all belong to London skyscrapers may be no surprise, given that such buildings tend to be higher profile, both literally and figuratively. The best-known nickname of any new building outside London, finds the poll, is The Armadillo, moniker of the Wales Millennium Centre in Cardiff Bay. It ranks fifth nationally (despite the fact that even in Wales, only 25% of people have heard of it). 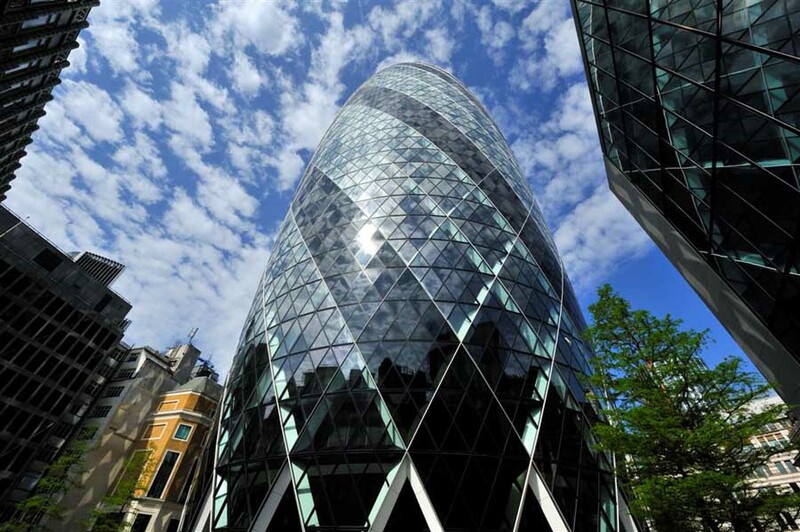 The best-known nickname of any London building that is not a skyscraper also happens to be The Armadillo (known by 10% of Britons), as in the best known of various nicknames for London’s City Hall. By further coincidence, London’s Armadillo ranks fourth in the national rankings, one place above its Cardiff namesake (9%). While some nicknames catch the imagination and enter our shared vocabulary, others struggle for acceptance. So, the Rust-Bucket (alias the Broadcasting Tower in Leeds), the Filing Cabinet (The Civil Justice Centre, Manchester) and The Pregnant Pin (Spinnaker Tower, Portsmouth) all seem reasonable efforts at memorable nicknames but, in the event, rank joint last in YouGov’s poll, as names recognised by just one per cent of Britons. Attaching nicknames to high profile new buildings might seem like a modern vogue but the practice was also common in the nineteenth century, even if nicknames in those days were more likely to come from the press or public rather than PR consultants. So, the National Gallery, much criticised on its completion in 1838, was nicknamed “The National Cruet Stand” or just “The Cruet Stand”, because of its “mustard pot” cupola and “salt and pepper” towers. The nickname Crystal Palace was coined by Punch magazine for the giant glass construction erected in Hyde Park during the Great Exhibition of 1851. Then there was the 16-ton bell and the Gothic clock tower housing it, which were together nicknamed “Big Ben”, in honour, reported The Times in 1856, of Sir Benjamin Hall, the Government’s Commissioner of Works. KEY: Table shows the % of respondents familiar with each nickname, both nationally and locally/in the building’s own region. KEY: Table shows the % of respondents familiar with each nickname, both nationally and in London. Methodology: All figures, unless otherwise stated, are from YouGov Plc. Total sample size was 2141 adults. Fieldwork was undertaken between 6th-7th May, 2015. The survey was carried out online. The figures have been weighted and are representative of all UK adults (aged 18+). We have 4 pages of British Architecture selections. 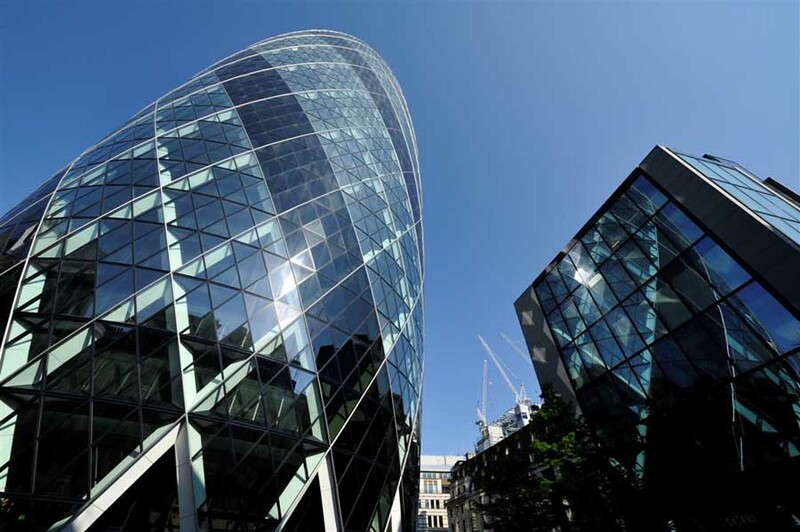 London’s Gherkin skyscraper has been put up for sale, with interest expected from Chinese, other Asian, and US buyers, estate agency Savills has said.